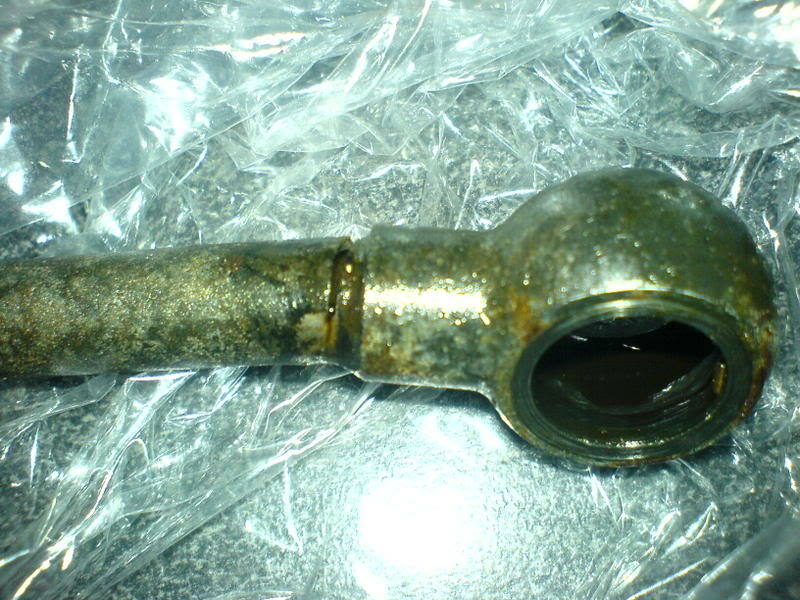 I had also considered a blocked feed pipe but if it was blocked then the turbo would have let go and there would be no oil to leak from the return gasket... or has the banjo at the top of the turbo on the feed pipe let go and this is just peeing everywhere. replies on a postage stamp to..... hey my post count has gone through the roof! If you need more than a one line reply then e-mail me gavin (AT) i-buildings (dot) co (dot) uk I'll post it when the forum is fixed. 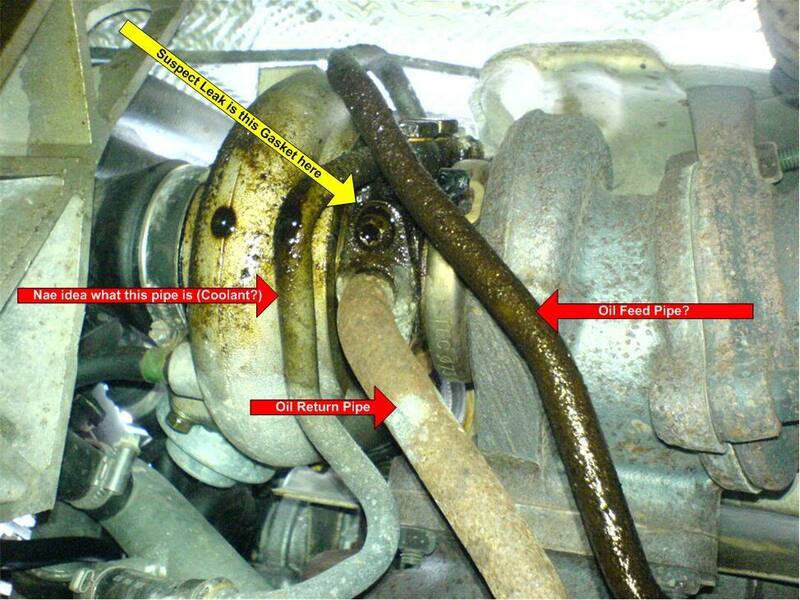 The oil return line will only leak under higher boost. Check all bango fittings for tightness. You are a genius!checked all the banjo fittings, the oil feed banjo in the block turned about x3 clicks onratchet spanner everything else was fine (x1 click). Fired it up and got over a gallon out in 3 seconds... guess the pipe was fractured and tighteningthe banjoopened it up, anyway new part ordered (Â£30) will be here tomorrow. I am counting my blessings that I spotted the leak before the pipe burst! Wow thats a pretty good crack!!! That "little" crack dumped over a gallon of oil in 3 seconds! Of course it wasn't as big as that untilI tightened the banjo I think it's fairly obvious that it started life as a stress fracture [:@]. Terminal V70 turbo problem of a simple leak? 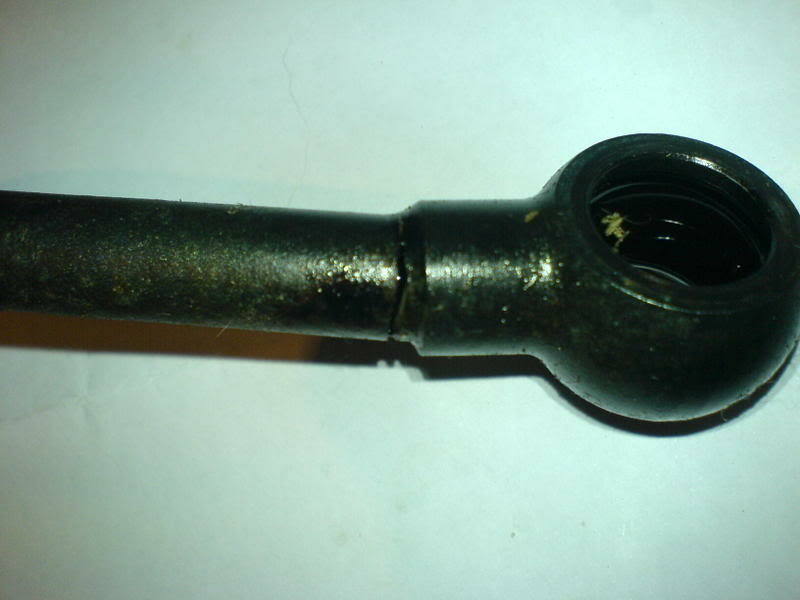 ABS Pump Leak is my car terminal?